Let’s get it to it! One of the biggest criticisms of season 1 was its erratic scheduling and format. Legs were split over random numbers of episodes and Legs started and ended on different days of the week. Maybe to fix that, the TARPh team, with the blessing of Bertram Van Munster himself, came up with a tweaked format that saw one Leg span one week’s worth of 6 episodes. That resulted in reducing the number of Legs to 10, but also increasing the number of tasks and Route Markers per Leg. That would then allow each daily episode to feature at least one of those tasks or Route Markers. Looks excellent and logical on paper. And I loved the idea at first. But it turns out it has its pros and cons. On one hand, it helped the viewer not get lost when one could easily jump into an episode and not feel lost if teams are in the middle of a task or something. But at the same time, we should all hope the Filipino audience would be able to follow the show even if it was edited like season 1 or a normal TAR in which teams are actually at different tasks and locations in the same 22 minute episode. It turns out though that there are just some tasks that do not merit or deserve an entire episode devoted to it. The first Leg proved that with the very flat first Detour. Those kinds of episodes and the Pit Stop episodes which only featured teams driving to or making their way to the Mat felt incredibly long and tedious. Pit Stops should take no more than 5-10 minutes each Leg. The biggest thing in the “con” column though has to be the loss of the sense of time on the Race. You really couldn’t feel the teams actually Racing through a Leg in those first few weeks. There was no sense of where teams were in relation to each other. For example, you had teams at one location after dark in one episode while other teams are at the next location in broad daylight in the next episode. It was like teams were Racing in mini-Legs in each self-contained episode. While the thinking behind the self-contained episodes is understandable, it unfortunately hurt the overall Race-viewing experience. The very first episode of the season was excellent. It was a perfect start having the SM Aura rappelling task be the very first clue at the Starting Line. But things slowed down considerably the next few Legs. It wasn’t until the Ilocos Leg which marked the real turning point of the season, I think. With the Race having only finished filming weeks before the premiere, it was still in the process of being edited in post-production when the first episode aired. Starting with the Ilocos Leg, I think the editing improved greatly. The proceedings were less tedious and were a little more tight. I think the better tasks helped too, but I can only assume that the TARPh post-production team took the viewers’ comments from the first week or two and used them to improve. As for only having 10 Legs, I think that is perfectly fine with this kind of format. TARAu3 of course only had 10 Legs. But here on TARPh2, the number of tasks and locations they had were basically enough for 15-20 modern TAR Legs which have become much shorter and simpler. But what was that non-elimination in Bohol and the unannounced Double Elimination though?! I have a feeling that was unplanned and not some pre-planned big twist because the 10 Legs for 11 teams meant only room for one non-elim and that would’ve been the Superleg. Easy. Which, speaking of, still irks me. AJ & Jody should have definitely still been awarded a prize for winning a Superleg. TARUS has given prizes on TBC/no-rest Pit Stops. For a season 3, may I humbly suggest maybe cutting down to only 5 days a week? (Since I know the daily format is likely here to stay, no matter what.) Maybe remove the self-contained format and have each episode play out naturally. More like season 1’s editing, but now with a set 5 episode-a-Leg format. Then have Saturdays and Sundays (which have shown to be the lesser watched nights for TARPh2) be the highlights episode (Sat) and marathon (Sun) instead. While this format, I think, can still be used and fixed, it had two very bad consequences. First, all the room for extra tasks meant having a dearth of luck tasks, poor tasks and even recycled tasks from last season! And the longer Legs also resulted in very linear Legs too. Jet’s comment in the penultimate Leg of never having even seen Tina & Avy for most of the Race as well as the mostly unchanged rankings in the first Legs show just how linear the Leg design really was. And that Final Leg 10 was all kinds of horrible. What a horrible way to end what is otherwise a solid season. I was shocked. What happened there? Did the rest of the Leg run into problems so the other planned tasks couldn’t be staged? Or did the extra tasks never exist to begin with?! Just a shockingly horrible final Leg. TARPh2 definitely had the quantity when it came to tasks, but many of them didn’t necessarily have the quality. There were definitely plenty of awesome tasks though. In the first Leg, the SM Aura rappel and the Priscilla dance were particularly fun. The fruit side of the Detour in Batangas was one of the few physical tasks in the first few Legs (and it was fun as well). The fish Road Block and the MURDER!!!! Detour in Pangasinan are standouts. 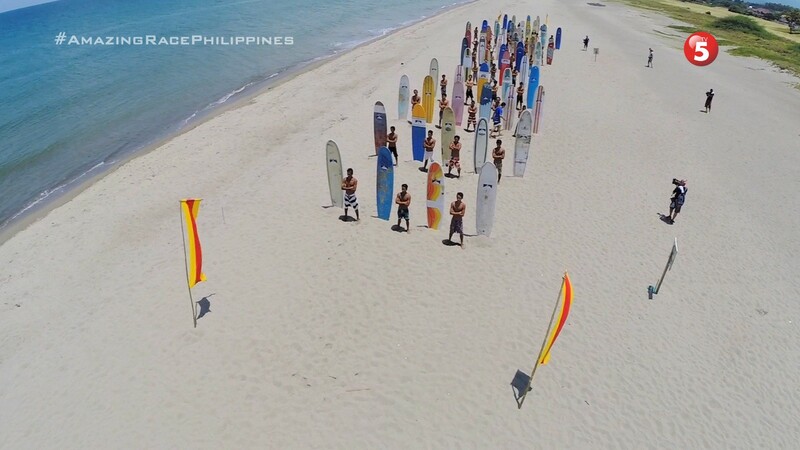 The surfboard Road Block in La Union was an excellent update of TAR Asia and Australia’s original versions of the task. 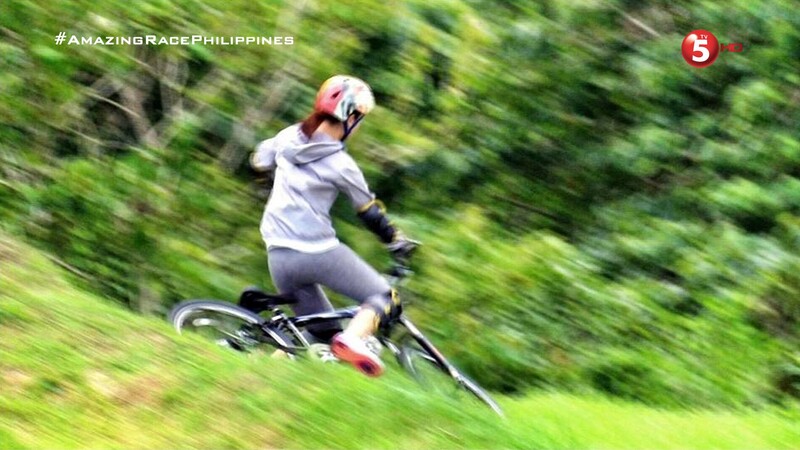 Ilocos’ #MyOxisBroken was classic and actually was much more enjoyable and fun than TAR25’s Switchback ended up being. In the latter Legs, the Battle of Mactan Duel Duel was great (more on those pesky Duel Duels later). The Bohol hammock course was a surprisingly excellent physical task. 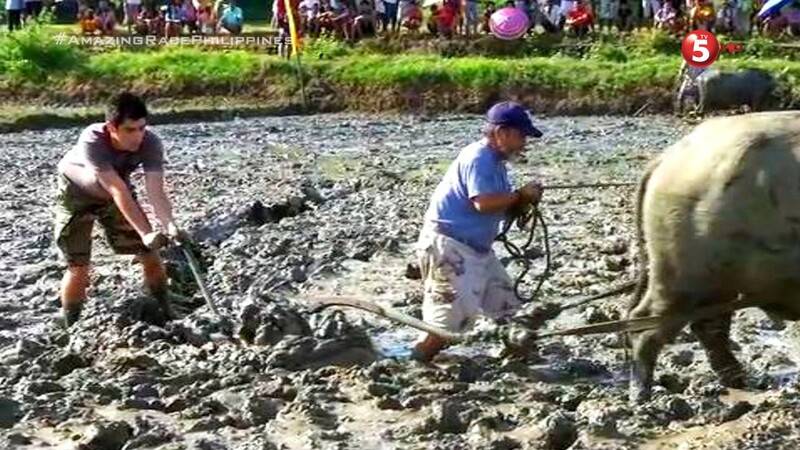 The Iloilo carabao racing was one of the season’s absolute best. The white water rafting was a task that definitely should’ve been staged in an earlier Leg with more teams to “enjoy.” And the amazing ostrich Detour MUST be staged by foreign TARs in the future. There were a lot of big missed opportunities. I think the biggest one had to be the Poro Point Detour. It seemed like it could have been a great task at an amazing location. The execution of some tasks were also disappointing; the ice block puzzle, the Philippine Stock Exchange puzzle, the Manaoag prayer, the bangus dance. Teams should not have been allowed to share answers at either of those first Leg puzzles. Right from the start it lulled the teams into a comfort zone that would result in the horrible #TheBrainTrust alliance and the almost lazy lack of competition in the first half of the Race. The Manaoag prayer and the bangus dance seemed to lack any discernible rules too which allowed teams to skirt by with less effort and penalize teams that actually took the time to complete the task correctly. Then there are the absolutely horrible tasks, mostly the luck tasks. Some standouts had to be the MacArthur artifacts and the Sky Ranch Ferris wheel plus the Bohol perya game. Having so many luck tasks, sometimes one after the other and sometimes right at the end of Legs left teams’ fate out of their hands. Plus, a repeat of selling waliseses? I’m sure they could have found something else to have teams sell in La Union. That was probably the laziest choice by task production this season. And then of course there are the horrible Double Battle Duel Duels. I have always been intrigued by TAR Israel/HaMerotz LaMillion‘s Double Battles. From what I’ve seen and from what I understand though, those Double Battles have been mostly inconsequential to the Race and even more importantly, were just fun. So seeing that Active TV would bring over those Double Battles intrigued me. But what they ended up doing was turning these untitled, though inadvertently referred to by Derek as, Duel Duels into unfair and random penalties for teams that only sought to separate them from each other even more than they already were. They didn’t foster competition, especially when placed toward the end of Legs. The sprinting Duel Duel is exactly the reason why Zarah & Osang were eliminated even though they put in more effort than most of the other teams combined. The Battle of Mactan Duel Duel was a great task on its own, but horrible as Duel Duel. Especially when teams just quit. The only good Duel Duel was the Road Block duel in Iloilo because the rules allowed NO team to actually move on if neither of the duel participants successfully completed the challenge. That’s contrary to the other duels which allowed teams to quit or beg for free passes to win and move on. Plus, it was the first task of the Leg. The Duel Duels did nothing for competition nor enjoyment. The other new addition to this season was instituting U-Turn and Yield voting on every Leg other than the first and last. Also a TAR Israel concoction. It is definitely a very Survivor and Big Brother kind of thing to do. But, while it helped show how tough Kelvin & JP, Matt & Phoebe and AJ & Jody were for overcoming the “delays,” it only helped foster the idea of alliances. The regular U-Turn or Yield is still the better option. It can create rivalries and competition without needing teams to align with each other to vote someone off the island or out of the house. That’s not the kind of drama TAR needs or should even aspire to have. The Race itself and the competition itself should be enough to cause teams to explode at each other and one another. Maybe the absolute worst part of the season was the formation of #TheBrainTrust™. The biggest criticism of this season may be the lack of competition and the lack of competitive and fighting spirit from the teams. Apparently, the TARPh crew noticed it too, which culminated in Derek’s big sermon to RR & Jeck at their elimination. Alliances are one thing on The Amazing Race. They definitely exist. But never have teams taken alliances to the extreme they did on this season. This isn’t Survivor or Big Brother US. You are not playing on tribes. You’re playing and Racing as a team of two. Ultimately, one pair wins in the end. This season, we saw teams giving, handing out answers and solutions to tasks without even doing any work for themselves. It was unprecedented. Unbelievable. And definitely frustrating to watch. Seeing teams who actually were putting in the effort get eliminated early made that fact even worse. Teams weren’t giving their 100% because they expected to have another team hold their hand the rest of the way. Teams would beg for freebies or beg for answers. That’s not how The Amazing Race works and I have never in my 14 years of watching The Amazing Race ever seen that kind of attitude be so strong and prevalent in one season. The linear Leg design definitely helped foster that kind of atmosphere. But Derek’s sermon to RR & Jeck could have easily applied to everyone else at that point as well. Teams were taking the Race for granted. They weren’t competing. Some even whined about needing to actually do tasks or drive themselves to locations. It was seriously unbelievable. You can make alliances, but this is still The Amazing Race. You’ve gotta Race. You’ve got to be able to compete and put in actual effort. There are no free rides or free passes (except for the Express Pass of course). And your alliance will only take you so far. #TheBrainTrust really stifled competition in those first few Legs. Teams really stepped it up in the last couple of Legs, but the first half of the Race was brutal in terms of the way teams treated the Race. Very sad. And back to Derek’s sermon. That was AMAZING. Apparently he gave another sermon in Iloilo, but the fact that Derek actually called out teams is just wow. Phil Keoghan has not called out a team in a long time (and I think TARUS definitely goes too easy on teams these days). But that TARPh actually not only had Derek say those things, but actually show them in the episodes is a great thing. It shows that maybe the crew of TARPh also really care about how the Race is run. But it also shows that they are not afraid to show teams as they really are. There’s no hiding teams’ true personalities or faults like TARUS has done. I live in the United States. And while we do happily subscribe to Kapatid TV5 via DishWorld on Roku (why aren’t they on Comcast Xfinity or even DirecTV though?! 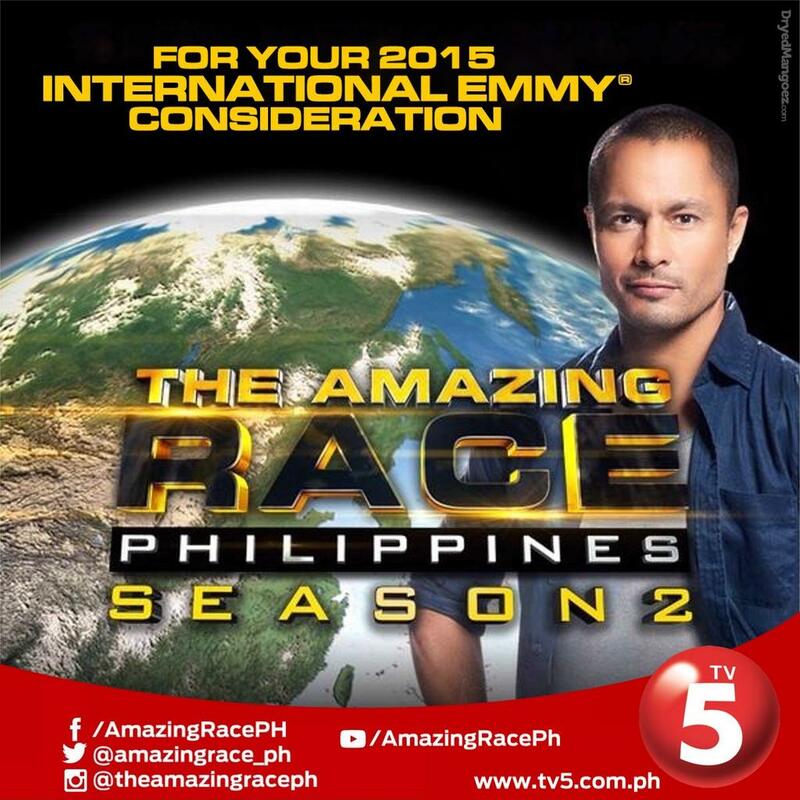 ), The Amazing Race Philippines cannot air on TV5’s international channel. Okay, fine. TV5 has its own, free livestream on their website. Even though it is geoblocked to anyone outside of the Philippines, I had to figure out how to change the proxy settings in my browser (none of that paying for proxies thingy, I have no idea how that works) just to be able to try and watch the show live. And I was able to. At first. TV5’s livestream never fully worked and would regularly freeze up or just plain crash in the middle of episodes. So I gave up staying awake until 4am Pacific Daylight Time and hoped that any of the dozens of Filipino TV pirates would upload the episodes. And I knew that was iffy, which is why I nagtiyagad watching the livestream because there are less uploaders for TV5 programs than there are for GMA or ABS-CBN programs. Plus, I already had experience falling behind when episodes of TARPh1 became sporadic. It’s certainly no secret that there are dozens of people who record Filipino shows and put them online to make money via the ads on their malware-infested blogsites which aggregate the pirated videos. That’s a lot of episodes. But it wouldn’t be a problem if TV5 actually uploaded full episodes themselves. They’ve got their own YouTube channel and they usually upload full episodes of their other shows to YouTube as well. And while TV5 actually did upload some episodes, the greater majority of the season was still missing from their official channel. They even uploaded episode parts that cut out after 30-60 seconds. I’ve gotten messages every day from TAR fans, both Filipino and not, asking for links to episodes. Instead, I had to either point them to horrible, low quality and blurry videos or nothing at all. I think The Amazing Race Philippines may be the only TAR in the world that does not have official episode uploads (and in HD!). TAR Israel and Vietnam both put episodes on their official YouTube channels (TAR Vietnam even has full ads and are unblocked out of the country). The new TAR China has the episodes, without restriction, on their official Sohu TV channel. And of course TAR US, Canada and Australia have their episodes on the network websites. It was very disappointing to see TV5 not committed to uploading full episodes. They missed a HUGE opportunity. First of all, they could have bypassed all those pirates and instead draw people to their official uploads, which would bring them the money instead of to the pirates. What’s TV5 have against YouTube revenue? For Filipino fans, TV5 is still not available to big swaths of the population. And not everyone can be home at 7pm or 9pm to watch live. (Truncated Sunday highlights are not a solution.) So having same-day episode uploads would have helped fans and possible viewers keep up with the show. I believe both ABS-CBN and GMA have pay subscription services that have full episodes of their shows on demand. But TV5 has had free episodes on YouTube for their shows, which is even better. For Filipino and non-Filipino TAR fans outside of the Philippines, uploaded videos are the only way they can watch. TARPh definitely needed all the social media discussion it could get, but it’s hard to discuss a show when you can’ t watch it, right? Those non-Filipino TAR fans who love watching foreign versions also love talking about those foreign versions. Word of mouth is a very powerful tool. But you can’t have word of mouth if there’s no discussion. And there’s no discussion if there’s nothing to discuss. It is TV5 and TARPh’s hope to be nominated for an International Emmy for this season. They could have helped their For Your Consideration campaign by uploading full episodes for anyone and everyone to watch. Get that buzz going. Allow people to share memorable scenes with each other, like the carabaos or the foot massages or the beautiful locations. But unfortunately, TV5 dropped the ball there. And it’s a shame. Huge missed opportunity for a global audience for a show they were supposedly very excited and proud of. Why not show it off? In addition, they had uploaded bonus videos similar to TARUS’ Secret Scenes, but stopped after like Leg 4 or 5. But those videos were 240p, like they were filmed on an old cell phone. That was insane! How is that possible?! Especially after they actually already uploaded full HD clips from the first Leg. But back to the positive stuff. It was very exciting to hear it would possibly travel out of the country when the new season was first announced. But even though they remained in the Philippines for another season, the route itself was one of the pluses of the season. The Philippines is so diverse, both with its people and its topography. And I think TARPh2 was able to highlight that diversity, for the most past. I do think this was a better, more balanced route than season 1. 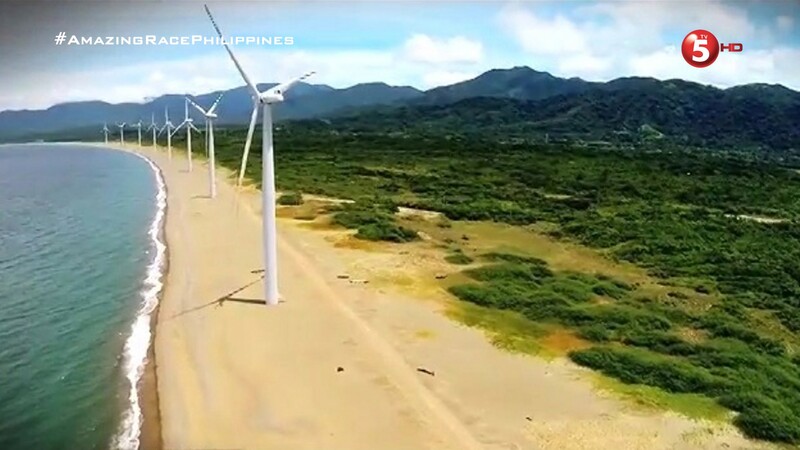 They were able to Race through Luzon, Visayas and Mindanao and were able to visit some iconic landmarks, especially in Ilocos. And because of a great sponsorship by Kia (Thanks Kia!!! ), teams were forced to drive themselves for all the Legs in Luzon. That was definitely one of the best parts of the season. Teams don’t usually get to drive themselves that much on TARUS anymore other than on Ford-sponsored Legs. Plus, to help highlight those great destinations, they used some HD camera drones. I’ve grown to absolutely love drones thanks to The Amazing Race. It would be amazing to watch the show in HD. But even in blurry 240p uploads, you can tell there were some stunning visuals and excellent cinematography, especially from those drones. Also, it was great to see the show adopt the new, current TAR graphics in the opening and on the episodes. This Summer’s TAR Canada and Australia didn’t, so that makes the Philippines the first international version to do so, I believe. No use of the new theme song though. And there were some odd quality control issues in the first Leg (eek!). As a fan of The Amazing Race since its very first episode in 2001, I was so excited when it was announced TV5 bought the rights and would be bringing the franchise to the Philippines. 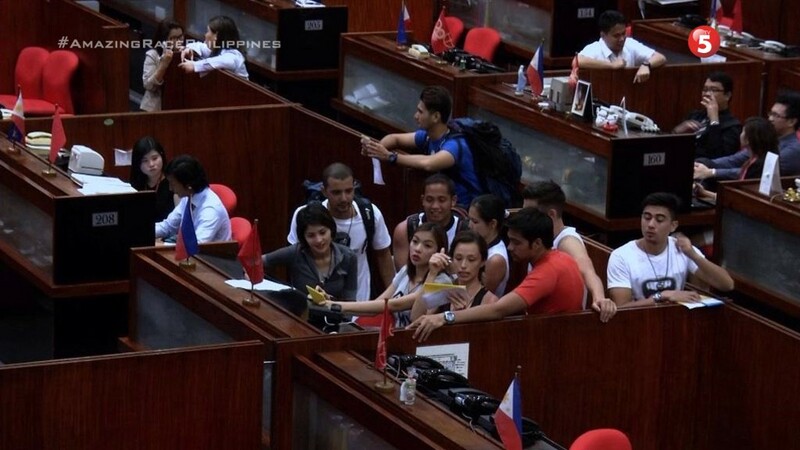 TV5 was the best possible network to help give the Philippines its own Amazing Race. TARPh’s future was very iffy after season 1 ended until TV5 finally announced The Amazing Race Philippines: Biyaheng Asya in December 2013. And it was very exciting and a great relief. Now that season 2 is in the books, I definitely hope this isn’t the last Amazing Race Philippines. I’m definitely hoping it’ll be sooner rather than later that TV5 announces they’re accepting applications for The Amazing Race Philippines Season 3: Biyaheng Asya. In an interview with PEP, Derek said a season 3 would take place completely out of the Philippines, per Active TV requirements. So it would be absolutely amazing to watch Filipinos traveling around Asia. There are plenty of countries in Asia and around the world that are visa-free for Filipino citizens, so that’s one hurdle they won’t need to stress over when coming up with a possible route. Of course, the budget is a big issue to deal with, but TARPh got a good line-up of sponsors this time around. One would hope they’ll stick around and TV5 can attract even more for a possible season 3. Filipino audiences really are averse to breaking their misguided network loyalty and do not want to believe that there are actually great shows on any other of the dozens and hundreds of channels on the dial. I still believe TV5 can do a lot to attract more viewers and especially to a season 3 of TARPh. Building hype, designing Legs and tasks that are social media-ready and uploading full same-day episodes will all help word of mouth and help the show’s profile in the Philippines and around the world. There’s definitely plenty of good and a couple of bad things about this season 2. But the mere fact that it exists is something to be thankful for. And that is does exist and has completed its run is something to congratulate TV5 and the entire cast and crew of The Amazing Race Philippines for. Here’s to Season 3 and many many more seasons of The Amazing Race Philippines to come! Zarah & Osang and Tina & Avy were probably the most heartbreaking eliminations of the season other than AJ & Jody‘s. But for Zarah & Osang and Tina & Avy, they were two of the only teams who best exemplified what the Race was all about. They had so much heart and gave their all to the Race even when the Race itself and maybe other teams were trying to push them down. The sprinting Duel Duel was so cruel, yet it helped show just how much fight and determination Zarah & Osang actually had. And in spite of falling behind because of that horribly placed task, they still had a chance to survive at the end if it weren’t for Metro Manila streets turning into rivers. They gave more in one Leg than some teams gave their entire time on the Race. Tina & Avy were inexplicably ostracized from the start. But that only helped make them stronger. They were actually pretty consistent Racers. There wasn’t one task they really struggled or failed at. They just didn’t have luck on their side like other teams did or have an alliance that could help prop them up (or give them answers). Them completing that ice block challenge on their own set the tone for the beginning of the Race . 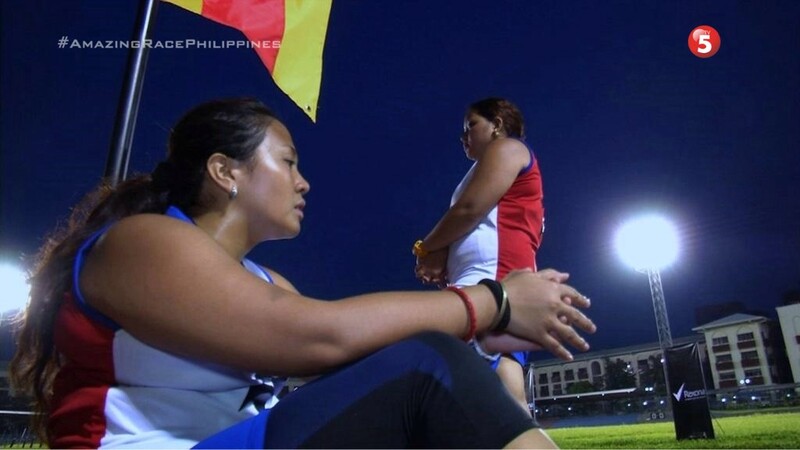 And all the way to their elimination, they really showed what the Amazing Race fighting spirit really looks like. I was rooting for AJ & Jody as my pre-season pick. For one, because I usually love parent-child teams. And two, because I needed a good father-son team to get rid of the awful memory of Dave & Connor’s trail of terror on TAR24. AJ & Jody definitely delivered on both parts. They were the typical bickering parent-child and their little asarans and arguments were hilarious fun. And of course very relatable. They may have been card carrying members of #TheBrainTrust, but that was never the biggest part of the roles on the show. Instead, we got to see their relationship grow and that growth culminated in that amazing show of spirit, heart and determination by AJ at the Bohol hammocks. They were saved by a non-elim and fell victim to a surprise Double Elimination, but they still had a great Race. And they were great to watch. Roch & Eji were definitely the loudest team this season I think. And that was a great thing! Their unexpected shrieks of joy from time to time were pleasant surprises and a lot of fun. They were firmly part of #TheBrainTrust, but when that alliance finally broke down, they were able to show what they could really do on their own. And Roch especially was able to show what she could do on her own too in some of the season’s most physical challenges. Of the final 3, I was probably rooting for them the most to win. But overall, they were fun, they enjoyed the Race and they stepped it up when they needed to, as evidenced by their win in Bohol. Kelvin & JP were definitely one of those alliance-minded teams in the first Leg, but they soon became underdogs when #TheBrainTrust was formed and they ended up being targeted. That also helped them grow stronger. They overcame both U-Turns and used that strength to eventually help them reach the Final Leg mostly on their own. They were definitely willing to join #TheBrainTrust2 in the 2nd half of the Race, which then resulted in them losing their endearing underdog status. But once they did get in front, they were able to maintain their position and get themselves to the finale. They had the perfect combination of skills, determination and luck. Jet & Yna! #TheBrainTrust ringleaders! I was really the most disappointed in them because I knew (and they later proved) that they had what it took to Race well on their own without the help of any alliance. They were Race fans who should’ve known how the Race worked. Yet they had some of the most regrettable scenes of the Race. First begging teams to let them win at that horrible sprinting Duel Duel, then the embarrassing yelling at that horrible MacArthur task, the threatening to quit at the foot massage and after all their awesome growth, again thinking about begging for a free pass in the penultimate! Leg. It was sad seeing Yna be so down on herself, saying she can’t do anything on her own. I knew that wasn’t true and she definitely proved it at the mountain bikes, the fish Road Block and that hammock task; all physical tasks she conquered excellently. I was so happy to see her do so well on those tasks. I just wish they had that same fight and determination the entire Race. But seeing their sibling relationship be so strong was definitely a highlight of the season. Matt & Phoebe proved early on that they were a strong team. A VERY strong team. After winning Legs, they overcame U-Turns and Yields as well as themselves. After watching Alain & Audrey on TAR Canada 2 and their French bickering, it was amusing to see Matt & Phoebe would be able to provide some British-accented fighting on TARPh2. And they definitely delivered in that regard. They were the typical TAR bickering couple. They’d fight, even get physical, but still perform at the tasks and seemingly get over any big blowup they’d have. What separates them from Marc & Kat in season 1 as the “dominant” team of the Race are definitely those extra British arguments they had. That made Matt & Phoebe much more likeable or at least enjoyable to watch. But their win was definitely much deserved. Daniel & Charlie‘s most amusing trait was their penchant to cuss up a storm. Swearing left and right was so randomly hilarious. Even more hilarious than any of their Juan Direction shtick or even their lack of Tagalog skills. They were definitely the most bottomgoddessy team of the season though, never able to get themselves out of 9th place. And they had a tendency to act like they were on an episode of Juan Direction instead of The Amazing Race. But they were certainly not the worst team of the season. That’s when we come to RR & Jeck. I’m very familiar with RR after years of watching her on Wowowee. So I sorta knew what to expect from her. I was actually very excited to see she had auditioned with Wendy Valdez. And even more excited to find out she was actually cast. But eeek! No amount of one-liners and tarayan will make up for the fact that they whined about “abnormal” tasks and people, quit and threatened to quit, dragged their feet most of the Race and had the most lackadaisical approach to the Race I may have ever seen evah. They came across as halfhearted and that is definitely disrespectful, or at the very least very unfair to the eliminated teams and aspiring Racers who actually would Race with their whole hearts and to the fullest. I’m sure the crew and challenge producers didn’t appreciate being called “abnormal” either. Which is probably how that sermon even came about. And finally Vince & Ed. They are the most interesting team this season. And interesting only because they started out as being the quiet, maybe even boring self-professed “nerds” only to become these strange, condescending elitists. They really rubbed a lot of fans the wrong way with their strange attitude. It was very surprising. Instead of being snarky fun, like when they seemed to be anti-Blondies for just voting for them, they (especially Vince) became very condescending and overconfident. It was very odd and so opposite of how they introduced themselves and were introduced at the start of the Race. And their defeatist attitude at the end of the Bohol Leg brought to mind Derek’s sermon to RR & Jeck. 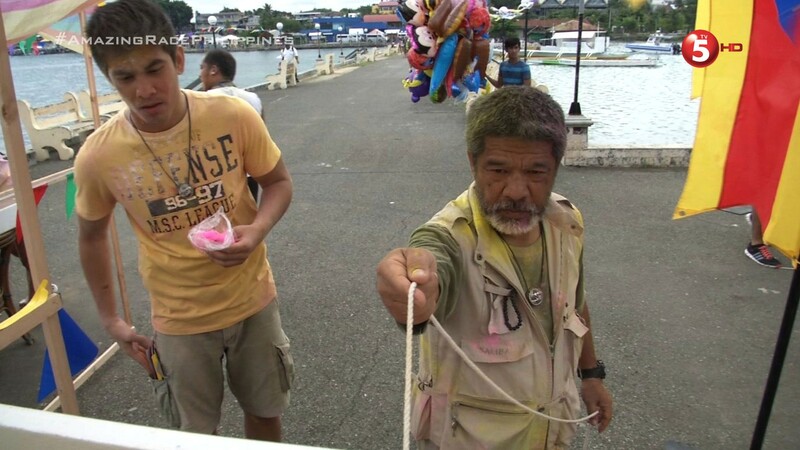 ← Recap: The Amazing Race Philippines 2, Episode 55 (Leg 10 – Season Finale) – "Sobrang hindi namin 'to makakalimutan."